The Pacific National Exhibition (PNE) kicks off August 19th, 2017. The Fair is a fun way to spend your fleeting summer days. This event has always been a family must for as long as I can remember, and I am so excited to once again be able to share it with my ever-growing kiddo! 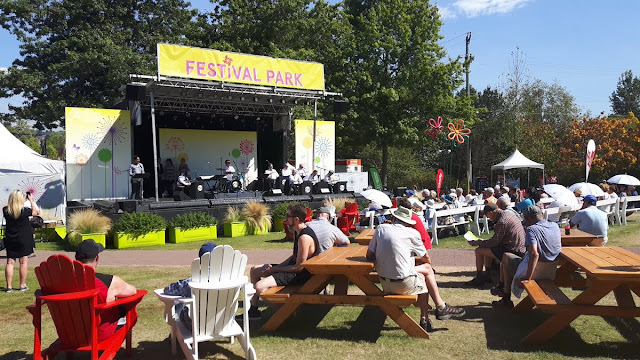 August 19th-20th:Show up between 11:00 – 1:00 showing some Canada 150 pride and enter the park for just $1.50! Proudly wear red, or a maple leaf to take advantage of this discounted admission. (Must be visible). The PNE is thanking our RCMP, Police Officers, Paramedics, Firefighters, and Military Personnel by offering free admission to them and a guest. Must present a valid First Responders service card at the gates. August 22nd-29th: Gain free admission to the fair between 11:00 - 1:00. Please be advised, guests are allowed a hand stamp for later day re-entry after 1:00. August 23rd & 30th: Love rides? Take advantage of Wild Ride Wednesdays with a ride pass BOGO. Promotion is only available on site on the applicable day. Planning on going after work? Get in for just $5 every night after 9:00. After 5:00, save on ride passes Tuesday-Thursday. As always, save on admission and ride passes by purchasing online or in select stores. 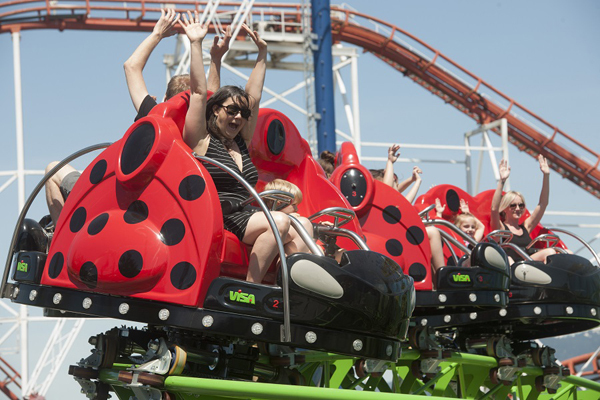 In addition to existing rides like the Coaster, Atmosphere, and the Musical Express, Playland has added three new rides: Flutterbye, Dizzy Drop, and Bug Whirled. There are very few rides your child can go on if they are below 36 inches. To each their own to decide whether a ride pass or tickets will be worth it, I was recently at Playland with my 2 year old (37 inches) and although we were limited to the same ten or so rides, she absolutely LOVED it! She rode the Cool Cruzer at least 10 times, and loved the Honeybee Express as well as the new Flutterbye ride. One thing I am looking forward to tasting is a Prague Cone! It’s a delicious pastry that is served on the streets of Prague with some yummy looking ice cream. A rule when we go is that no one is allowed to order the same thing as someone else. That way we get to try a little bit of everything! In addition to the rides, the PNE offers fun activities and entertainment to enjoy with your family. Over in Rollerland, experience Toytopia! 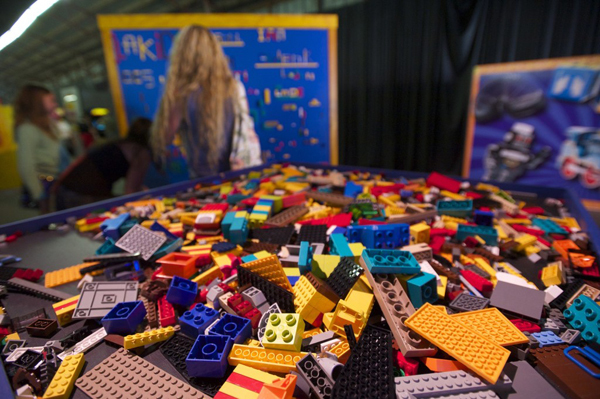 This interactive exhibit is home to some of the world’s favorite toys and arcade games. In addition to multiple play zones, you’ll get to see the world’s largest Etch A Sketch; however, if that’s not enough to grab your attention, I have one word for you: LEGO. Yup, Toytopia in addition to multiple play zones there will be displays, trains, and a LEGO building wall. The 4H club will once again be hosting events inside the barn, as well as the always enjoyable farm life and animal interactions. In addition, kids will get to experience farm life at the Kids Discovery Farm exhibit. Keeping in time with the bug theme is the Xtreme Bugs exhibit. Similar to last year’s Dinosaurs Alive, this interactive and educational experience will entice you with 19 animatronic models and 110 static bugs! My favorite Fair tradition is watching the President’s Choice Super Dogs. This year they are hosting Canada’s birthday celebration with Canadogs performing Canamazing tricks to some iCanic music! Daily show times at 12:30 p.m., 2:30 p.m. & 5:00 p.m. In celebration of Canada 150 there will be a daily Kaleidoscope Parade beginning at 1:00 p.m., 3:00 p.m. & 6 p.m. Nightly at 10:15 p.m., watch as the skies above the Park are illuminated in a Northern Lights display. This one is especially intriguing, as the sky will be lit using innovative drone technology. Witness a royal Coronation first hand at this fun, musical family show. 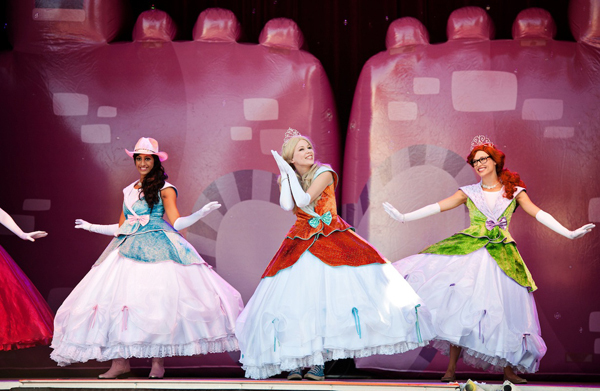 Come one, come all to the Princess Jubilation with shows beginning daily at 12:00 p.m.m, 3:30 p.m. & 5:30 p.m.
For the little adventurer, be sure to join Safari Adventure with Action Austin as he searches the safari to find the missing pink star diamond. This musical show begins at 1:30 p.m., 4:30 p.m. & 6:30 p.m. daily. While I’ll admit I am more into the Super Dogs, there are some pretty great acts scheduled this year. Acts begin at 8:30 every night and there is a $20 option to purchase tickets. Click here for concert info. September 2nd The Gipsy Kings featuring Nicolas Reyes and Tonino Baliardo. iHeartRadio Beach Ball begins at 2:00 p.m. on September 3rd and 4th. Check online for ticket prices and to order. 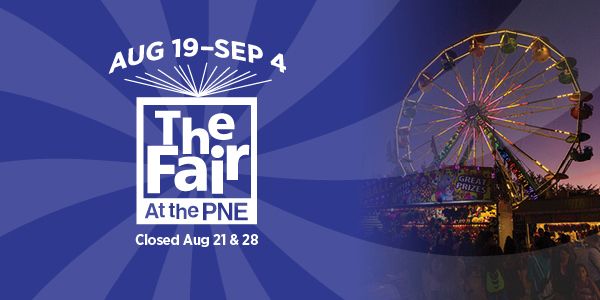 Celebrate the end of summer with the Fair at the PNE. Win a house or a car, indulge in some amazing food, experience the thrill of the rides, dance under the stars, and have some good ole family fun!